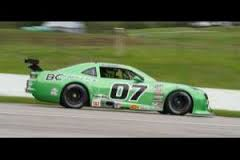 The #07 BCR Camaro is available for the Homestead Trans-Am 2 race, April 9-12, 2015. 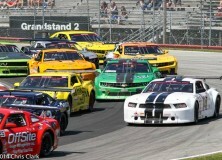 Car may also be entered in SVRA race on same weekend. Highly competitive car with full track support, arrive and drive package. Incredible weather and great track conditions marked the January Dave Murray test days at Sebring International Raceway. BC RaceCars Inc. was fortunate to have the combination of Andrew Romocki’s TA Mustang and professional driver Mike Skeen along with unlimited track time to test and tune. We were able to evaluate about 30 different adjustments, ranging (but not limited to) camber, wing, toe, shocks, anti-squat, pressures, etc. and ended up with a super fast Sebring set-up. We have worked with Mike Skeen before, yet his talents simply keep amazing us! The feedback that he is able to provide and his ability to get the job done in a few laps really speeds up testing, not to mention his incredible pace! Thanks Mike. We are super excited about the Sebring TA race in a few weeks time, BC RaceCars will have 3 of its cars running, Andrew with his TA Mustang and Steve Kent Jr. and Harry Steenbakkers in their BCR built TA2 Camaros.